The Science Coalition works to demonstrate the benefits of fundamental scientific research to the public and to celebrate the work that legislators, agency officials, and university researchers do every day to promote fundamental research. Learn more about our programs and awards, including our hallmark Champion of Science Award, below. 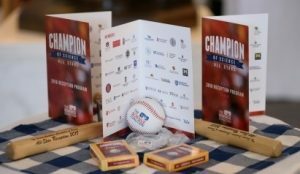 The Science Coalition’s Champion of Science Award recognizes members of Congress whose actions and votes consistently reflect their belief that fundamental scientific research, conducted at universities and national labs across the country, is essential to the nation’s ability to address pressing issues in health, security, energy and the environment, and additionally, that a strong federally supported fundamental research enterprise drives innovation that fuels the U.S. economy. A distinguished group of over 60 current and former members of Congress have received this award since 1999. 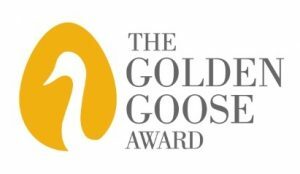 The Science Coalition is a founding organization of the Golden Goose Award. 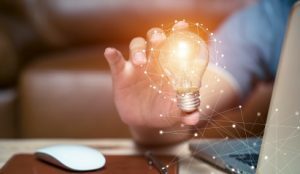 The purpose of the award is to demonstrate the human and economic benefits of federally funded research by highlighting examples of seemingly obscure studies that have led to major breakthroughs and resulted in significant societal impact. Close the Innovation Deficit is an effort by the business, higher education, scientific, and high-tech manufacturing communities who are concerned about cuts and stagnating federal investments in research and higher education at a time when other nations are investing heavily in these areas. 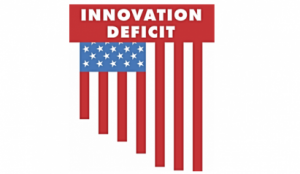 The Science Coalition supports the effort to Close the Innovation Deficit and believes sustained federal investments in research and higher education are necessary to develop the ideas, people, and innovations that power our economy, create jobs, improve health, and strengthen our national security. Behind every transformative advance are people — scientists and engineers, students and teachers — driven by a need to know and committed to the pursuit of discovery. They are, in every sense of the word, innovators. What does science hold for the future? SCIENCE 2034 is an initiative by The Science Coalition to mark our 20th anniversary by looking forward 20 years and focusing on the possibilities of the future. While we don’t know what the next “Big Thing” will be, we can make some educated predictions about how well-funded scientific research might change our lives and our world. 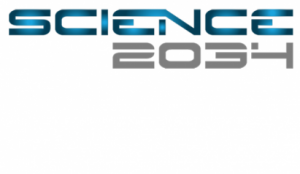 At www.Science2034.org we ask scientists, policymakers and thought leaders to weigh in and tell us what they think science will enable 20 years from now and what that will mean to individuals, society and the world. The Science Coalition’s report helps make the link between federal funding for fundamental research and economic growth. 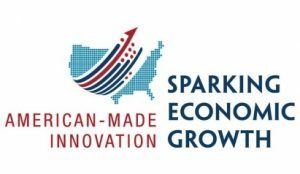 “Sparking Economic Growth: How federally funded university research creates innovation, new companies and jobs,” identifies 100 success stories – examples of companies that are the result of federal investments in fundamental research. From Fortune 500 companies to startups, these companies, collectively, employ well over 100,000 people and have annual revenues approaching $100 billion. The examples in the report illustrate the economic benefits to our nation when companies spring from ideas born in federally supported university laboratories. The success stories include global industry leaders like Google, Genentech, Cisco Systems, SAS and iRobot, as well as emerging leaders such as advanced battery manufacturer A123 Systems, network security company Arbor Networks, AIDS vaccine developer GeoVax Labs, and Sharklet Technologies, which has developed a novel surface technology based on the qualities of shark skin to combat hospital-acquired infections.